As Yasmin and I drove through the winding Kentish lanes on a summer’s morning, I knew Helen and Paul’s wedding was going to be spectacular. For a start, the weather was gorgeous and the venue we were headed for was fit for royalty – Hever Castle was the childhood home of Henry VIII’s wife Anne Boleyn and further renovations and landscaping by subsequent owners have only enhanced this amazing venue. We met Helen at the Edward VII honeymoon suite, situated in the Anne Boleyn Wing. What a stunning set of rooms and the perfect place to take a shot of Helen’s wedding dress, hanging in the Elizabethan mullioned window. Helen and her bridesmaids arrived with their hair and make up already done and soon there was plenty of champagne and excitement. Helen looked gorgeous even before she changed into her dress, a beautiful beaded lace and tulle fit and flare gown by Essense of Australia from The Secret Dress House. A surprise card and gift from Paul was waiting for her in the suite, and I was able to capture her beaming smile as she opened it and read his note. The ceremony took place in the Italian garden loggia, next to the lake. The sunlight glinted off the water as Helen, her bridesmaids and page boys walked along the edge of the ornate stone walls towards the loggia. I loved the play of light and shade as they passed underneath the rose-covered trellis and it provided some beautiful pictures of the bridal party. The loggia was decorated with flowers by The Flowersmiths – with strands of hops twisted around the pillars and simple embellishment of white and dusky pink flowers, echoed in Helen’s lovely bouquet. We were lucky enough to have beautiful golden light by the time came for the portrait shots – we headed over to the castle. Helen and Paul had previously had an engagement shoot with me so they’d already gone through that learning curve – they could just focus on each other and enjoy being newlyweds! The beautiful landscaping gave me plenty of opportunity for soft-focus backdrops and wonderfully natural images of Helen and Paul. The evening speeches provided many moments of hilarity, an opportunity for me to take some lovely informal shots of family and friends. One of the best moments is when Helen’s sister gave a speech, revealing a few family secrets. I don’t think Helen or her parents saw that one coming! The highlight of the evening was a surprise firework display over the lake after a sparkling line up – a real wow to round up their Hever Castle Wedding Photography! It was great to be working with Keith and Andy from Ignite Films, always a pleasure! Also a big thank you to Yasmin for all your help and for some beautiful shots during the day. 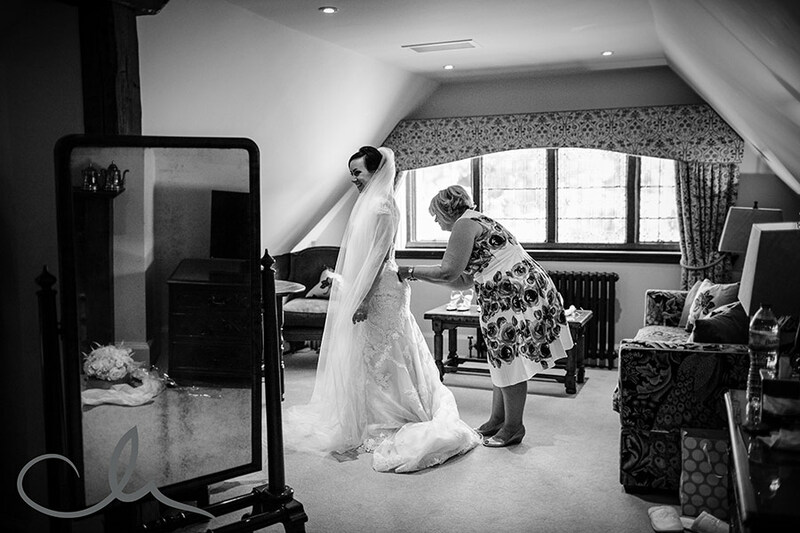 “Catherine was an absolute delight to work with and was always on hand to answer any queries and to put us at ease. We were both very fussy when it comes to photography so choosing the right photographer was quite a challenge. When we came across Catherine we instantly fell in love with her style and knew she was the one we wanted to capture our special day. We found the engagement shoot very helpful as my husband is a little awkward in front of a camera. Here are some of my favourite images from their day….